This is the text of a speech given to SPAVICTAS AGM 2015. Way under the radar of the general public, the Kennett Government (1992-1999) began a practice of using the rural category of ‘region in need of migration’ to reclassify Melbourne itself. In Victoria, liveinvictoria.gov.com.au; Note that the Victorian government has just changed the name of their liveinvictoria.gov.au website to https://liveinmelbourne.vic.gov.au/. Probable reason is that they know people are onto the old site. 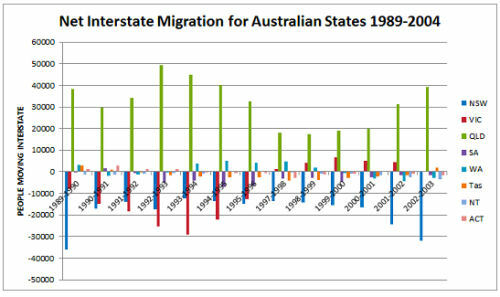 Kennet was congratulated by people in favour of high Migration for having increased migration to the regions and reversed the long-term trend of migration out of Victoria, much of it to Queensland. Nonetheless, I would make the following case that these migration policies and several of Jeff Kennett’s other policies were a major factor in creating conditions which would set Australian on a terrible path to rapid and uncontrolled mass migration. Other Australian states imitated this initiative. Unions scrambled to cover employees by registering new awards under Federal law, under s.51(xxxv) of the Australian constitution. These awards, however, had to be negotiated between individual organisations and their employees. Their enforcement was very limited under the Federal constitution. They were mostly inaccessible and incomprehensible for individual employees. Up until now Australian employers had not had much to gain by importing immigrant workers because they had been required to employ them under the same industrial awards as native born workers. That meant that there was not the same opportunity to import cheap labour as there was, notoriously, in the United States. Today we are in a situation where the Australian labour market has been greatly deregulated and it is now possible to employ overseas immigrants according to individually tailored employment contracts where they have little or no bargaining power or recourse for legal protection. Coupled with the deregulation of immigration, this has created local pull factors which the Australian growth lobby has been keen both to lobby for and to exploit. -	The rise of the internet, which was exploited by state governments, private migration agents in conjunction with employers; universities seeking students; and property financiers, conveyancers, developers and real-estate agencies, to globalise Australian employment, public institutions, universities, and property. Steve Bracks and John Brumby would continue Kennett’s big population campaign, despite the different brand presentations of their politics. 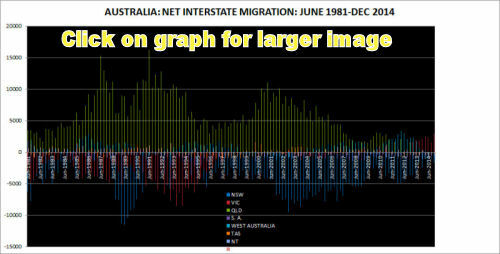 Was Kennett aware of his contribution to setting in motion Australia’s unfortunate population tsunami? He was a great population growth spruiker and had served formally as Minister for Housing, Immigration and Ethnic Affairs in 1981 under the Hamer government. He has made many public declarations on his perception that very high immigration is desirable. In The Age in March 1998, the following businessmen and politician argued that population growth was desirable and inevitable: Tony Berg, then Chief Executive Officer of Boral Industries (building materials and components) and still, in 2001, director of numerous banking, insurance and property trust related groups and holdings, and the Midland Brick Company; Jeff Kennett, populationnist Premier of Victoria (who presided over a developmentalist Ministry for Planning and Infrastructure which decreased housing lot sizes under a code and administration largely unresponsive to public outrage), and Phil Ruthven, who again claimed that by the end of the 21st century Australia's population would be 150 million. The Skilled Regional (489) visa is a provisional skilled migration visa that can provide a pathway to permanent residence. The visa is administered by the Commonwealth Government’s Department of Immigration and Border Protection (DIBP). Prior to applying for this visa you must be nominated by a state or territory government, or sponsored by an eligible relative living in Australia. The Victorian Government offers state nomination under the Skilled Regional (489) visa for highly skilled and eligible professionals and tradespeople who want to work in regional Victoria. Source: . [Last accessed on 27 September 2015]. 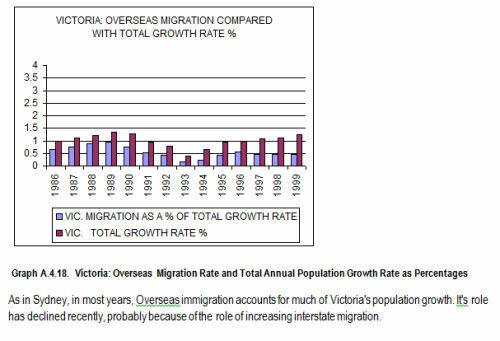 More general visas on that page : http://www.liveinvictoria.vic.gov.au/visas-and-immigrating/state-nomination#.Vd_lAys_i1Q . Christine Jackman, "More Migrants, Pleads Kennett", Melbourne Herald Sun, 12/2/1999, p.16. Mifepristone has been safely used by millions of women in more than 50 countries who have had access to it for several years. It is a safer, less invasive procedure than the alternatives not just because it can be performed much earlier than surgical abortions, but because it can be done safely in the privacy of a woman’s home without surgical intervention. The expansion of access to medical terminations by tele-medicine is particularly important to women living in rural and regional Australia. These women have to travel long distances or indeed travel interstate to undergo surgery or not had the option of surgery at all. Home-based medical abortion is intended to simplify the medical abortion regimen without compromising safety. Home-based medical abortion improves the acceptability of medical abortion by allowing for greater privacy than in-clinic abortion and giving women greater control over the timing of the abortion. In reports from France, Sweden, Tunisia and the United States, the majority of women opted for home-based medical abortion when offered the choice. Self-administration of the drugs is already common in France and the United States. I heard this on the ABC this am— workers donate more in unpaid overtime to their employers than they do to charities - then found this article. It would have been interesting to have heard this during the time when it was predicted that our biggest challenge in the future would be filling our leisure time. The boundaries between work and leisure are now burred also with technology - i.e. being able to respond to work emails from home. Who are the “leaners”? but I guess that is now quite an old question. There were no 'internships' a few decades ago. Anyone trying to employ someone for nothing would be hauled off to court on a charge of slavery. And you get nursing students, social work students, and just plain looking for a job people, working as 'interns' for nothing, full time. They can only afford to do this because they pay with prior savings, with taxpayer money via work incentive schemes, or their parents/spouses pay. Worse, this seems to happen a lot with charities. Charities are often another big scam; a kind of tax deduction arm of big business, another way to get people to work for nothing; a new slavery with a white collar uniform. Remember the Committee for Melbourne? Remember when Andrew MacLeod was the CEO of the Committee for Melbourne and he used to get a lot of media for his pro- population growth message? Haven't heard much from them for a while until the last few days when they instigated the changes to the "walk" signs at the traffic lights for pedestrians so that the walking person symbol was in a skirt to denote that women could also cross on the green light! When I heard this I felt reassured that this harmless exercise could keep the Committee for Melbourne busy. However I just checked their website and their vision for Melbourne remains large- scale. "Global city of choice for people and organisations, due to its distinct blend of prosperity, opportunity and liveability"